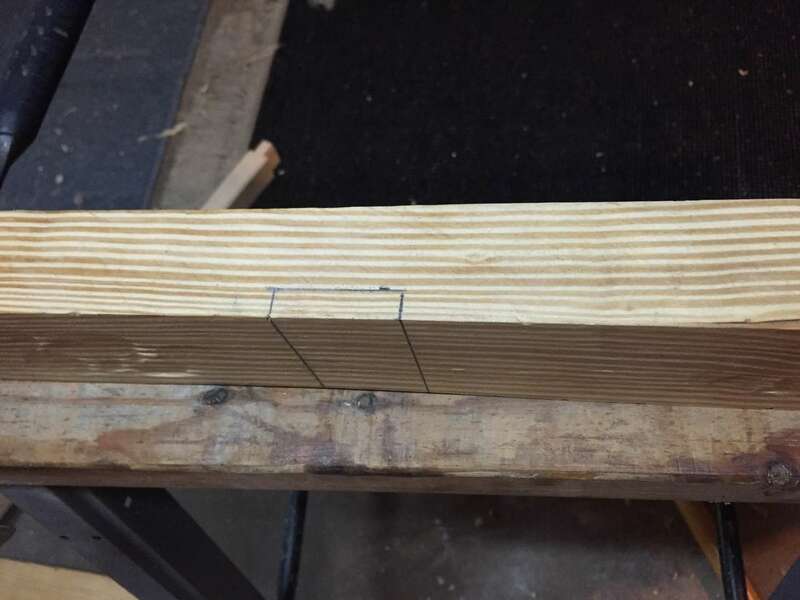 Use a marking gauge or very carefully using any other measuring device. 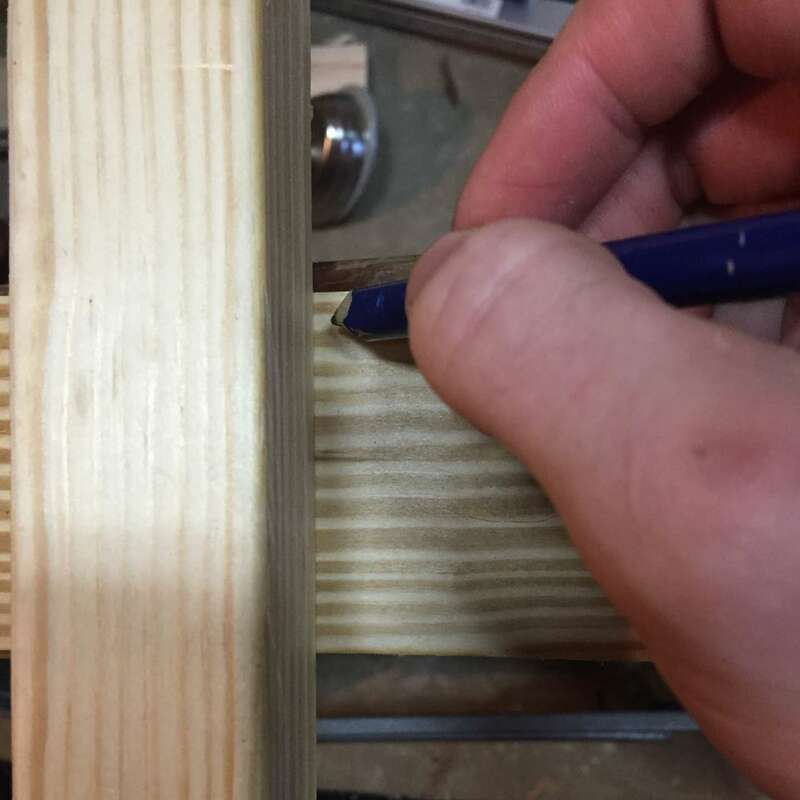 Using a wide bench chisel, place the bevel side towards the waste and hit lightly on a perpendicular plane to your workpiece. 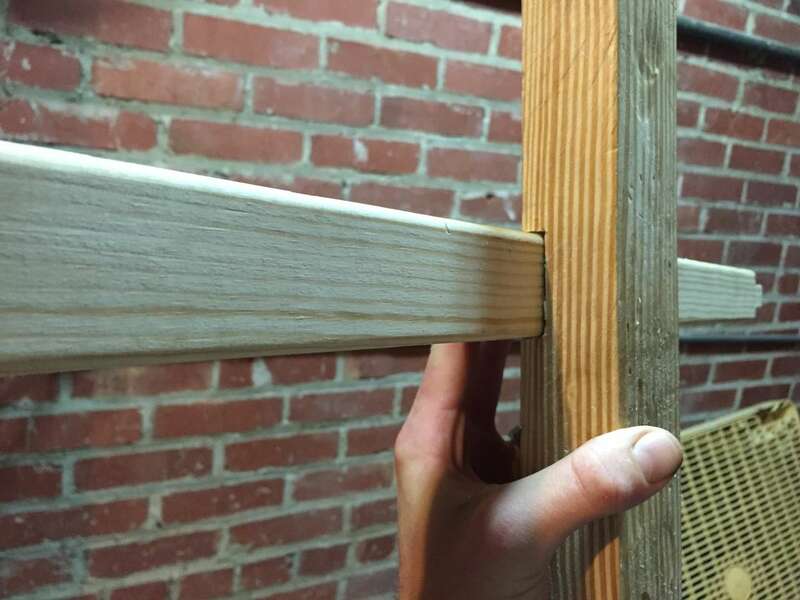 This makes a definitive guide for your saw and cuts the surface wood across the grain to avoid splintering. 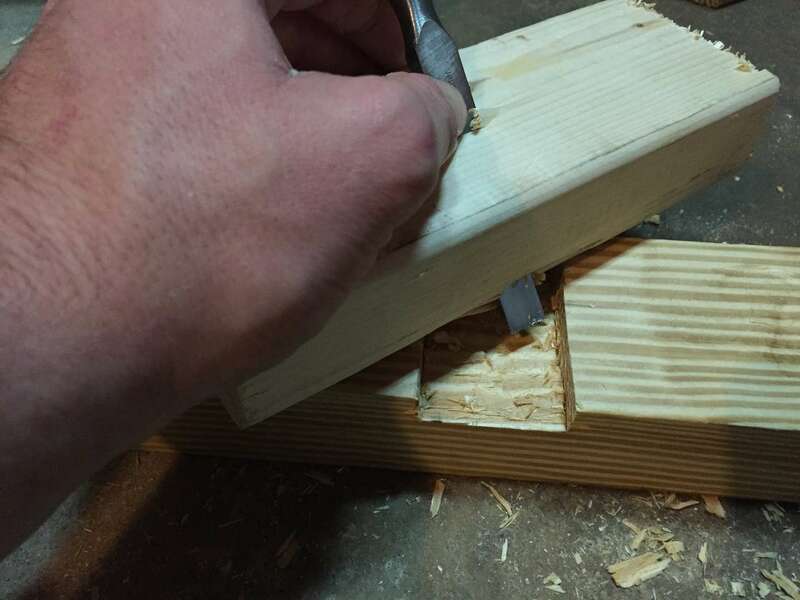 Using a cross cut saw, cut down the shoulder lines being careful not to go too deep. 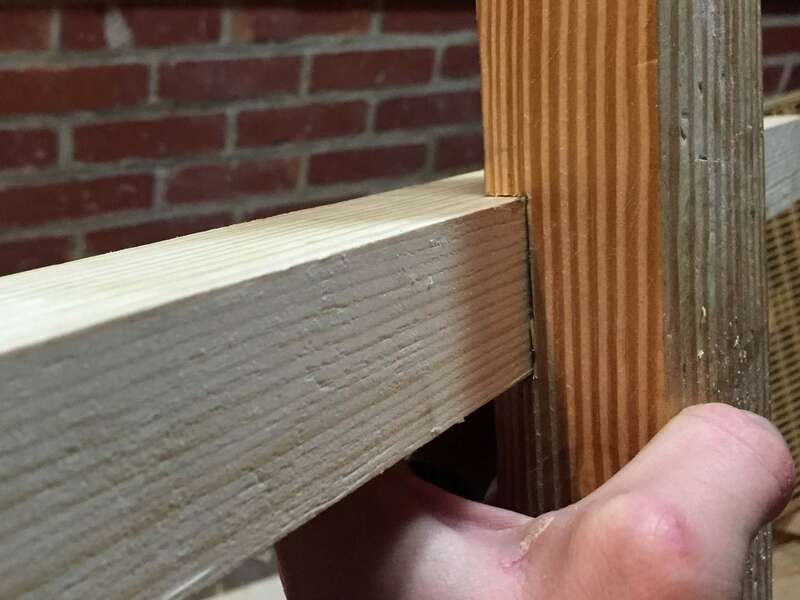 Using the same perpendicular strategy, work your way across the entire waste portion of the dado. 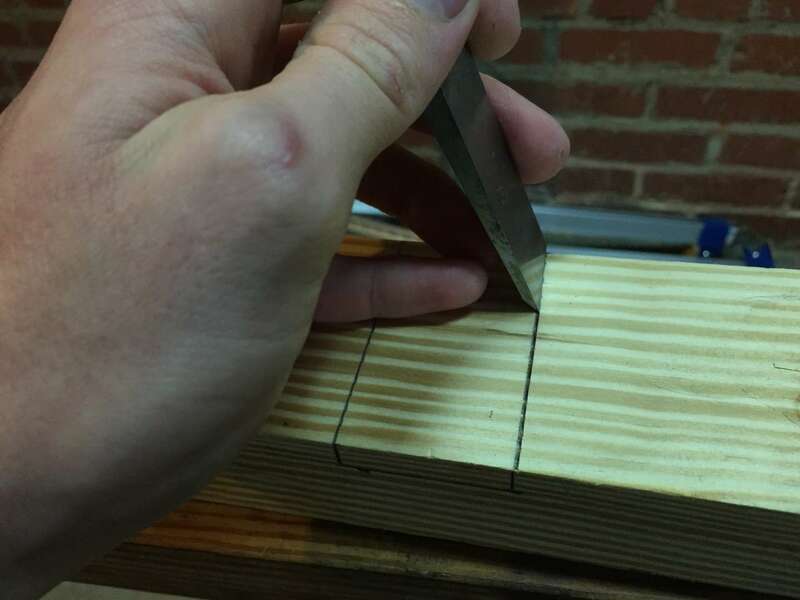 Using a stabbing motion with the bevel up, pare out the waste in the joint. 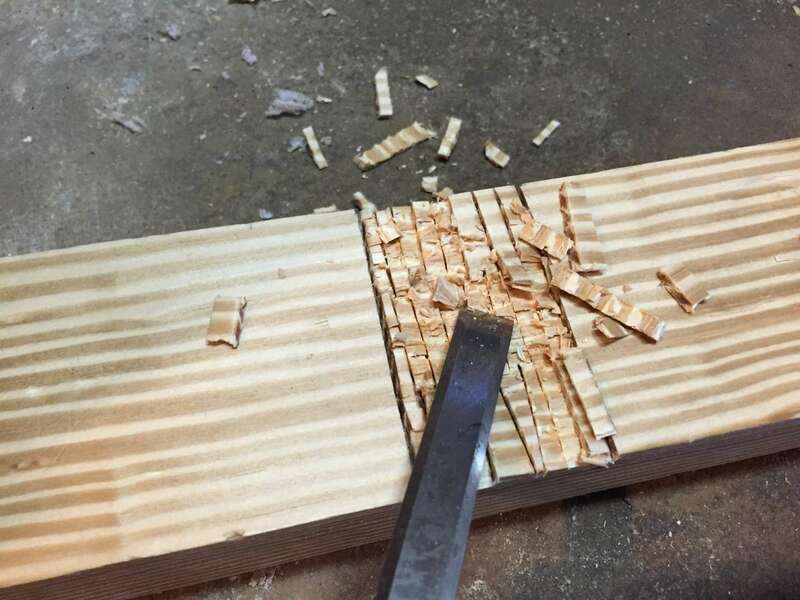 Diagonal chops with your bench chisel can help to relieve some of the pressure in the waste but be careful not to fracture the shoulder lines of your dado with the shaft of your chisel. 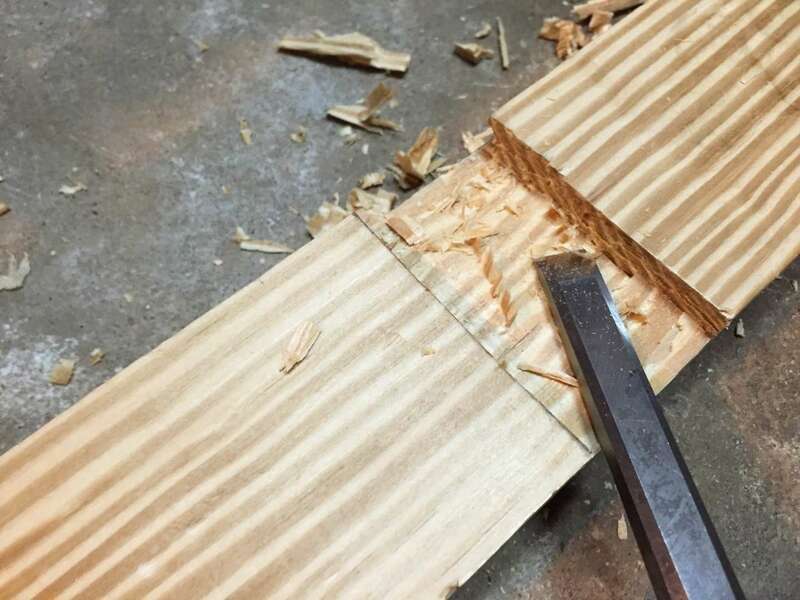 If you have a router plane, now's the time to use it. Otherwise, the poor man's router will do. 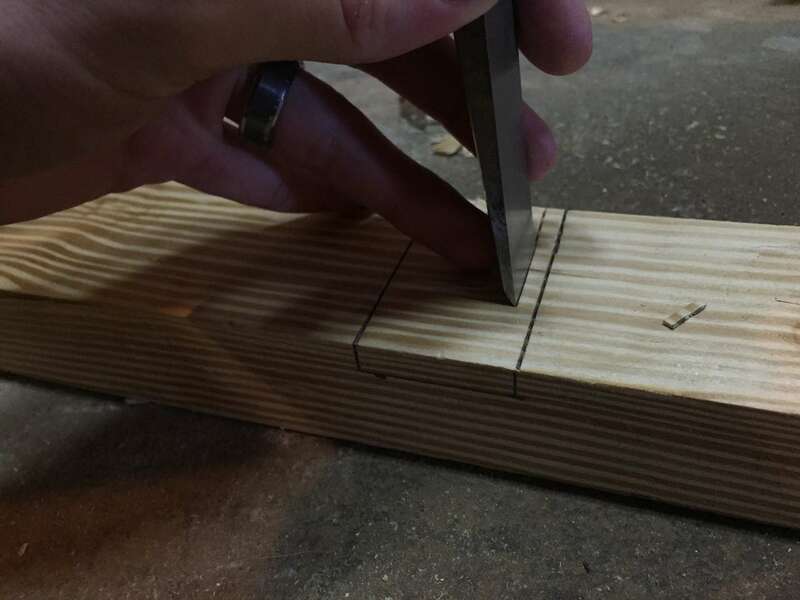 If you're not familiar, check out our guide on how to create the poor man's router.